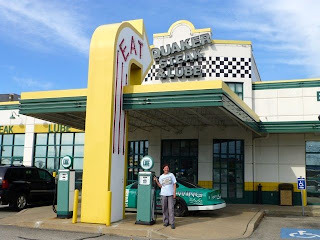 For our last night in Erie we decided to try Quaker Steak & Lube Restaurant known for its famous spicy wings. The restaurant was founded in 1974 with a motor themed atmosphere. 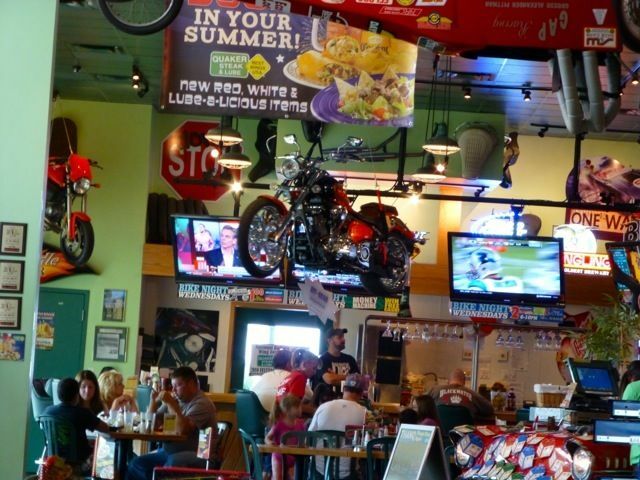 They have 45 locations in US and Canada. 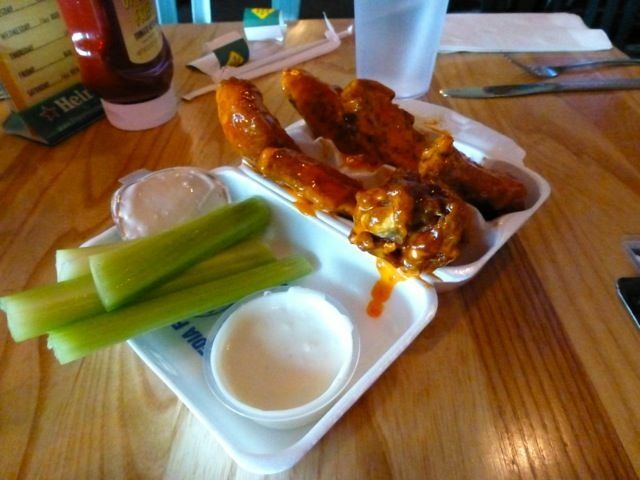 They serve over 80 million wings annually, winning title "Best Wings Usa". 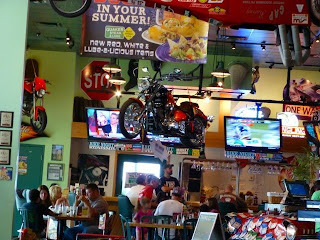 From the ceiling hangs vintage cars, trucks,motocycles and relic signs decorate the walls. A great place to take kids. The wings were delish. Have to stop eating like this. Besides the wings, John got a side of mac and cheese with a cheese steak Phil m up. I got a pulled pork with cole slaw. Tomorrow we leave for the Fleetwood factory in Decatur IN to have some service on the iHome. This is our second visit in two years.